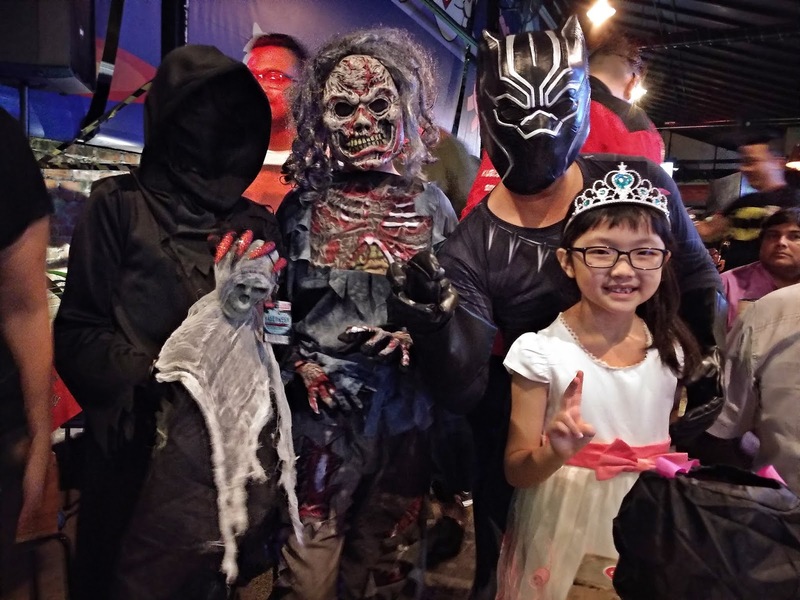 Kids just love party and the Halloween party is more excitement for them even though some may find the costume a little scary. Halloween is celebrated on October 31st every year. Children dress up incostumes and go after dark house to house, knock on the door and say trick or treat! People then give the children "treats" like candy. Some choose to be witches, monsters, ghosts or vampires but you might also see lots of children dressed up as fairies or princesses. And of course it is party with games too. 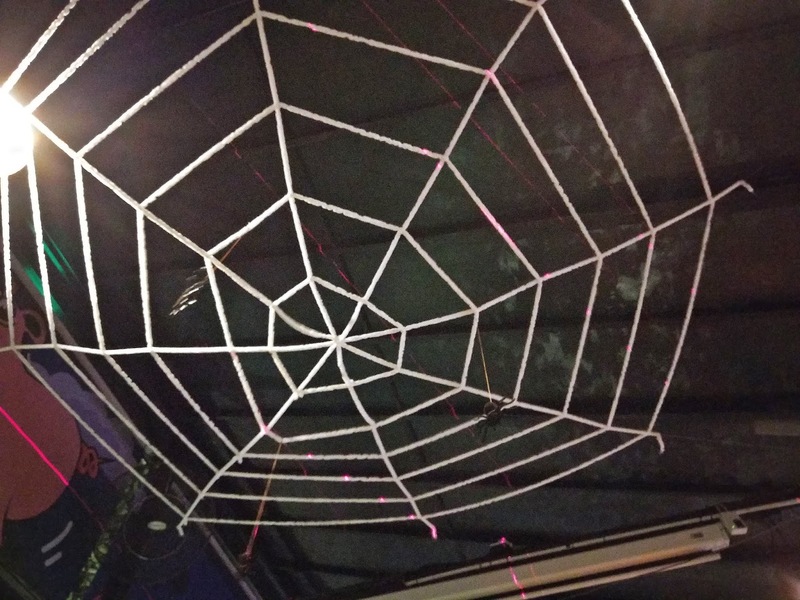 The Naughty Monster party is happening this Halloween with loads of cool spooktacular games and activities. We need to dress up to our favorite super heroes or villains. 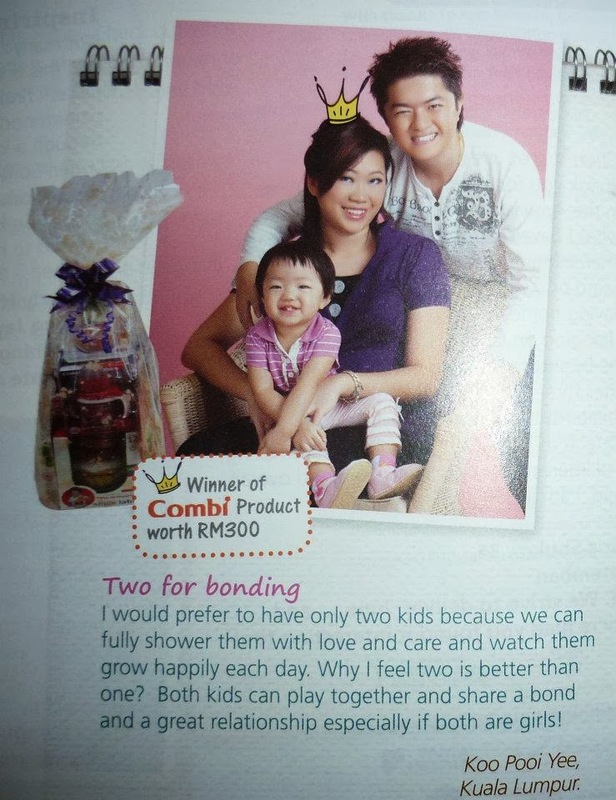 My girl want to dress up as the little Princess while boy gonna wear his Spiderman costume with Spidey Mask. 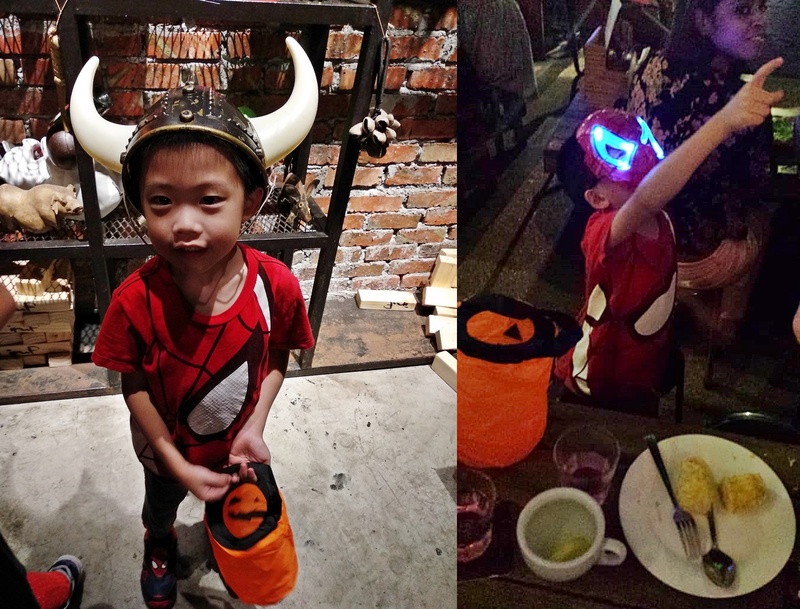 Kids enjoyed themselves at the Halloween games section with Ring Hat and Giant Jenga. 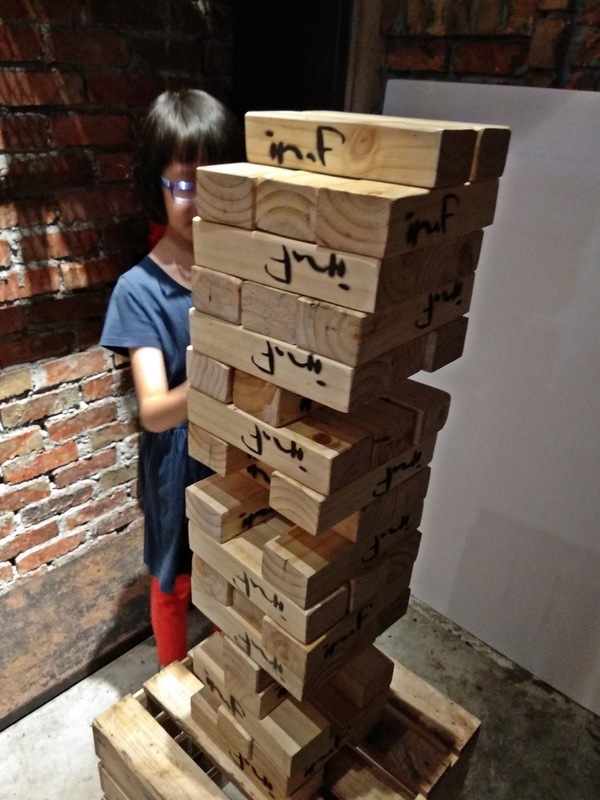 Kids have fun with the Giant Jenga. Guess who is the winner? 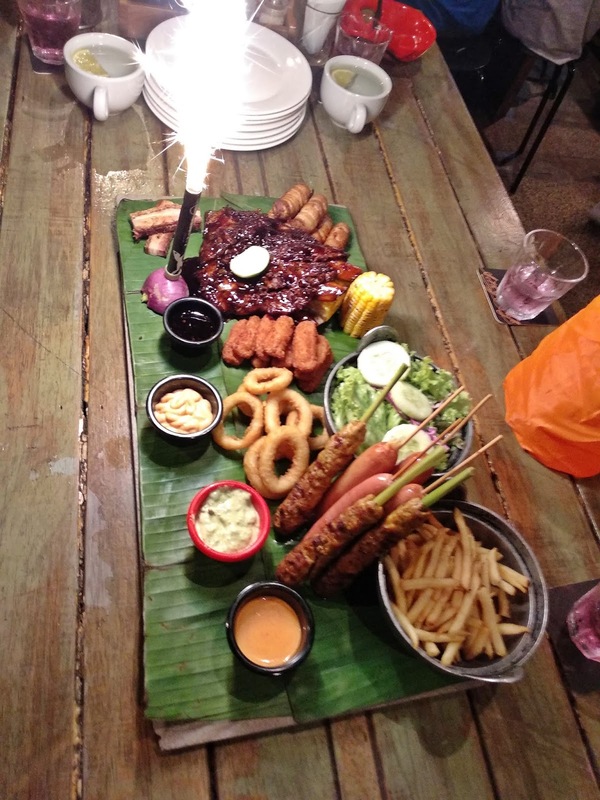 The most anticipating moment is to have our awesome Nanu's Platter with sparkling Firework! Tantalizing platter! 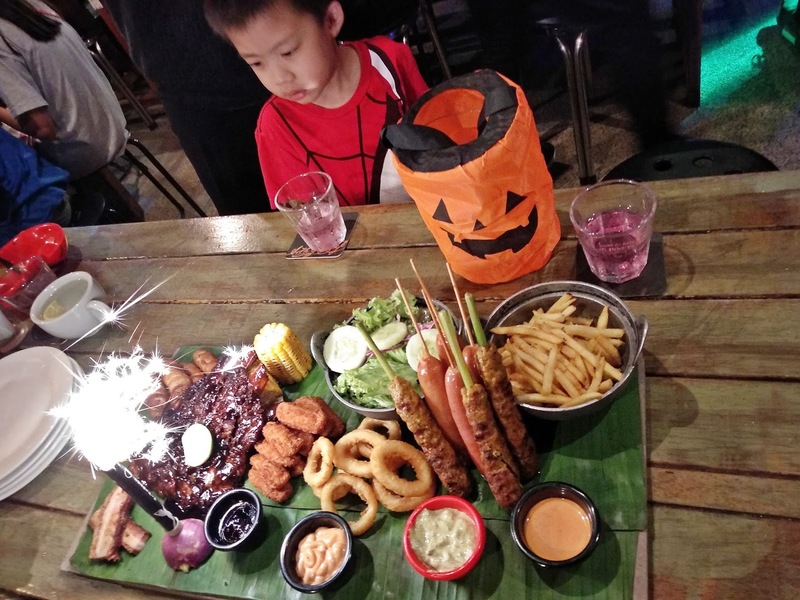 The whole environment was great with Halloween deco, music all night long and definitely a memorable nite because it is my kids first dining experience here. 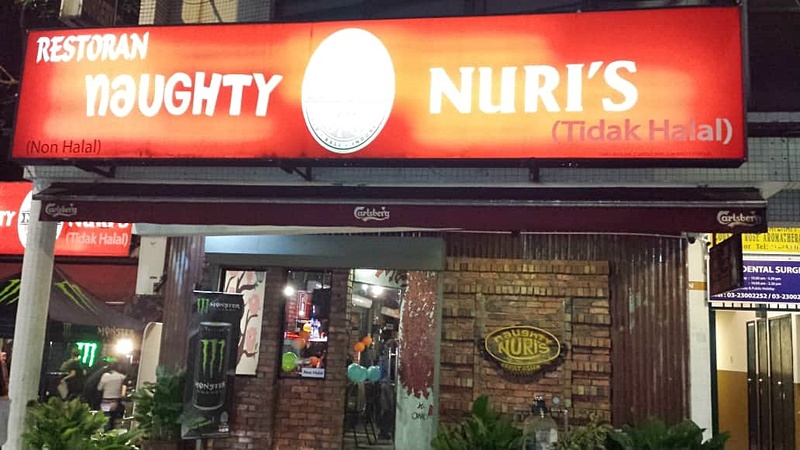 Naughty Nuri’s Nanu’s Platter promotion. 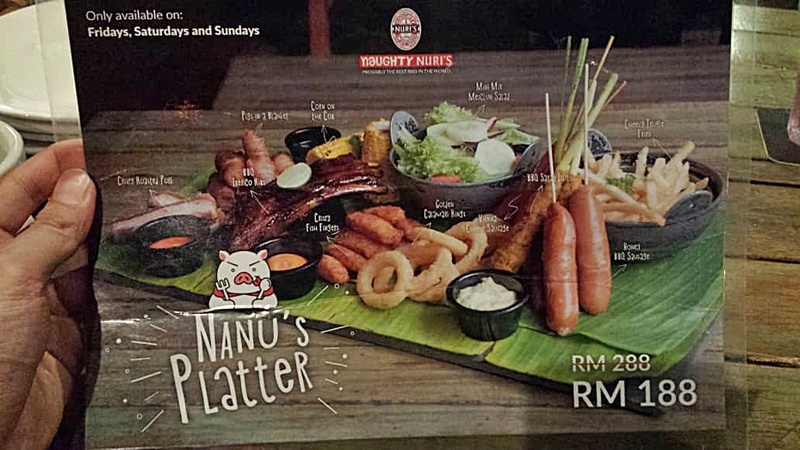 This new dish platter only served exclusively on Fridays, Saturdays, and Sundays for RM188. Sumptuous Crispy Roasted Pork, BBQ Iberico Ribs, Vienna Cheese Sausage, Honey BBQ Sausage, Pigs In A Blanket, BBQ Satay Lilit, Cheezy Truffle Fries, Mini Mix Mesclun Salad, Corn On The Cob, Golden Calamari Rings, and Crispy Fish Fingers. This platter is just nice portion for 5 of us. My favourite will be the BBQ Iberico Ribs, BBQ Satay Lilit and Crispy Roasted Pork. Flavourful and tender pork meat, satisfying and enjoyable. Dun forget to dip into their home sauce too. 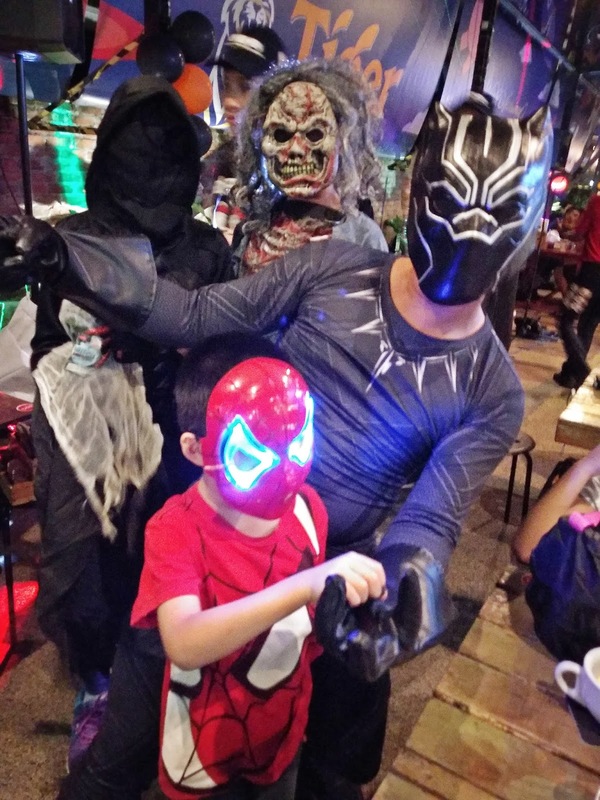 Kids extremely excited when they saw Halloween characters is coming after them. Photo opportunity time! 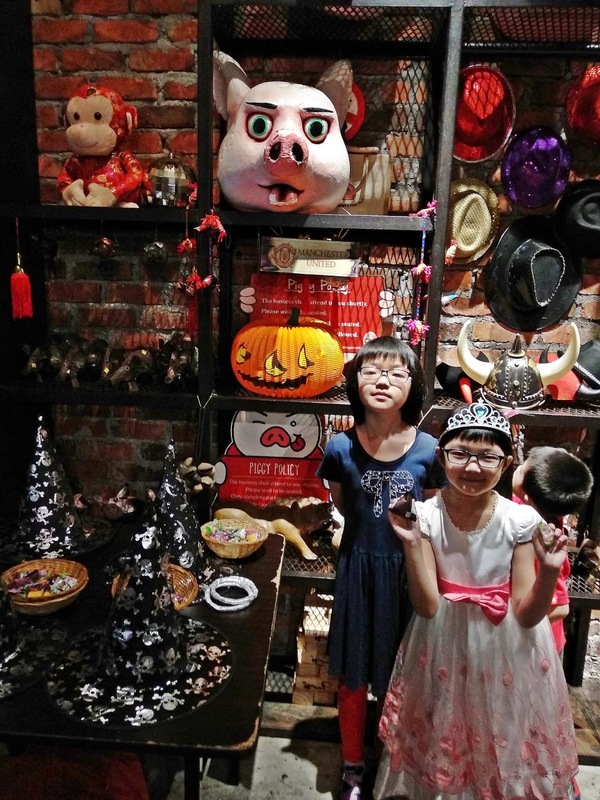 Entertaining Halloween party night with my kids and they enjoy themselves. My little boy won consolation price for the best dress costume with his Spiderman costume. 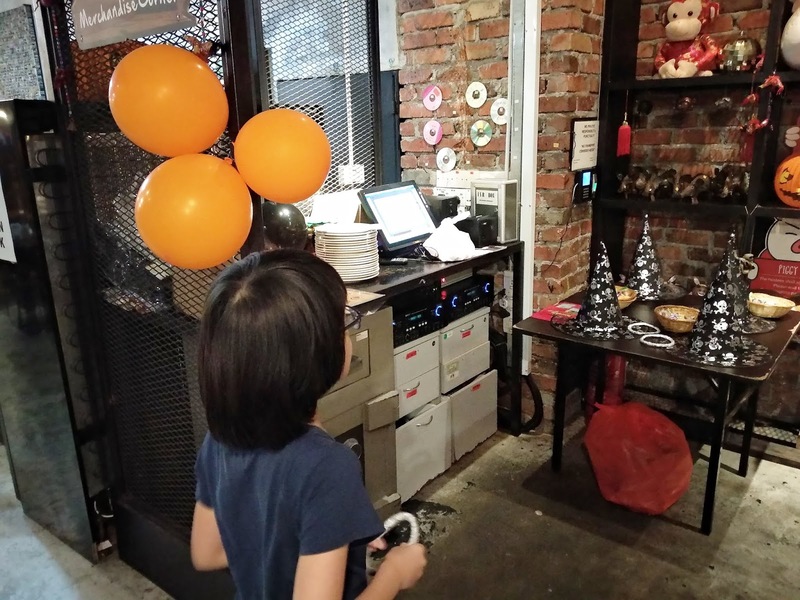 We also won few rounds of ring hat games, getting Pork Ribs and Salad Pork voucher and of course kids got lots of sweets too. 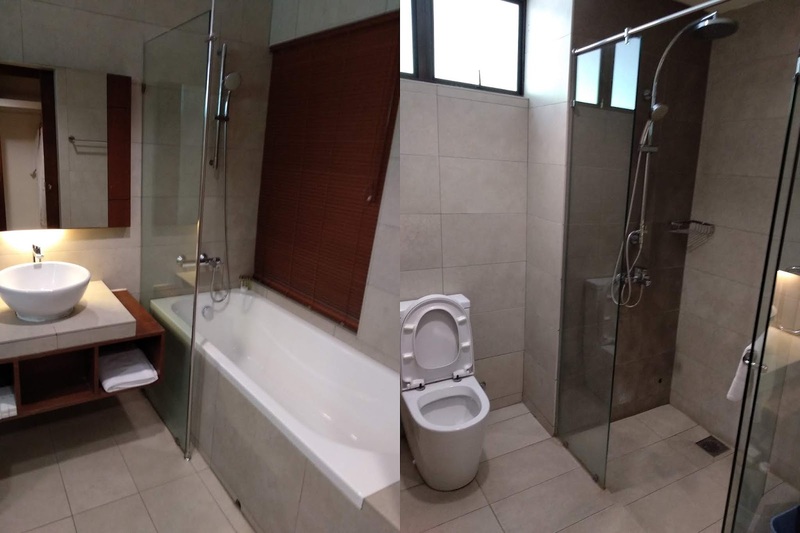 Jalan Sri Hartamas 22, 50480 Kuala Lumpur. We need vacation and holiday therapy to balance up our life. 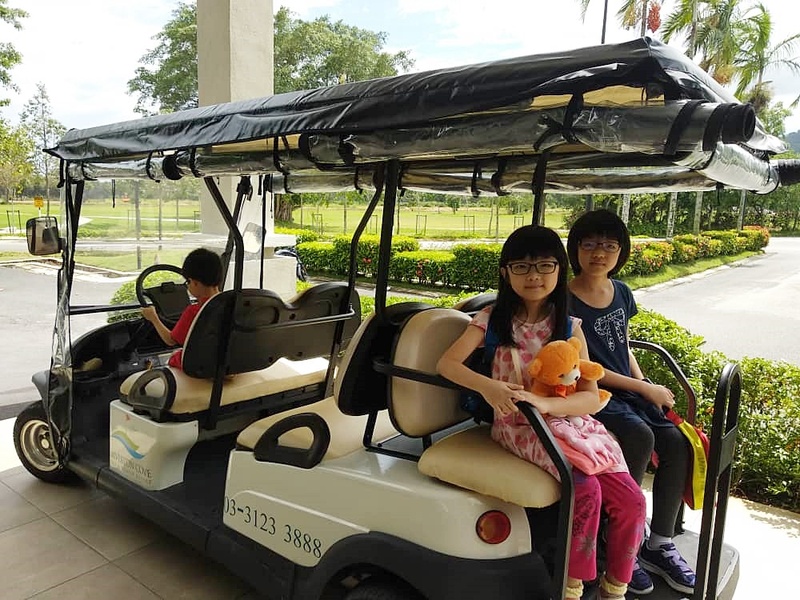 I am looking forward for a short staycation with my children and the best destination of my choice is always Amverton Cove Golf and Island Resort,Carey Island (just one hour drive). We have visited this wonderful place for 3 times (every year since 2016) and I am still impressed. 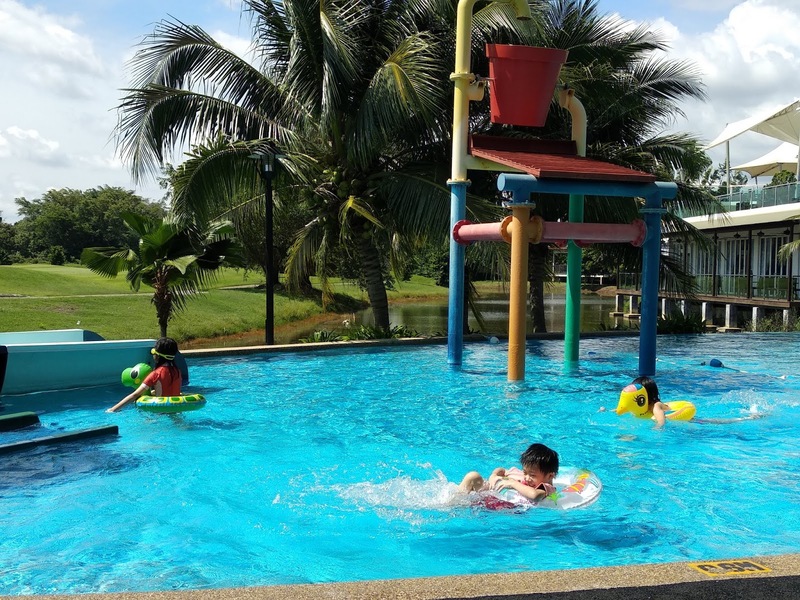 Kids have fun and extremely happy because they get to jump into their favourite slides at the huge swimming pool and it is a holiday gateway for them. Exam is over, and mummy feeling great too counting down to school holiday plan and in holiday mood as well. Moreover, baby girl gets to go for her first holiday staycation..Yeah! 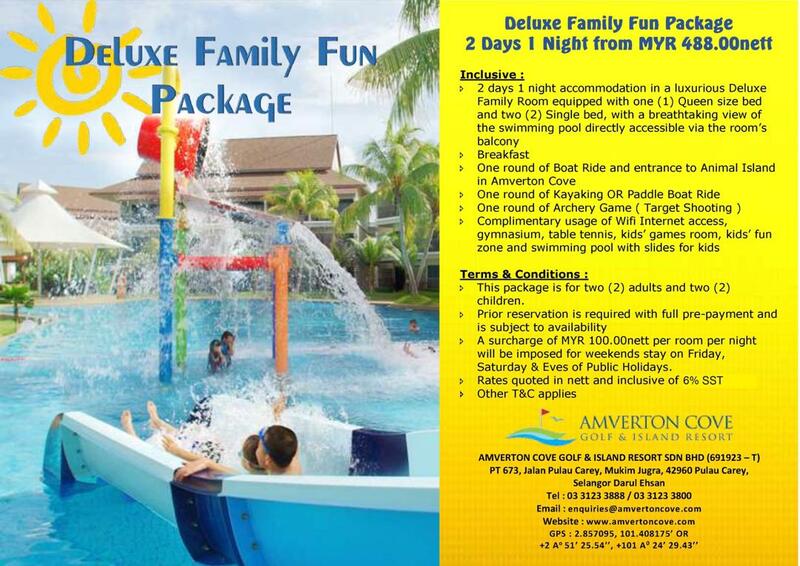 Choose Deluxe Family Fun Package for 2Day 1 Night from RM 488 nett for stay in Deluxe Family Room that is equipped with 1 Queen size bed + 2 Single Bed, breakfast provided for in house guest, and including complimentary of one (1) round of Boat Ride to Animal Island, one (1) round of Kayaking or Paddle Boat Ride, one (1) round of Archery Game. 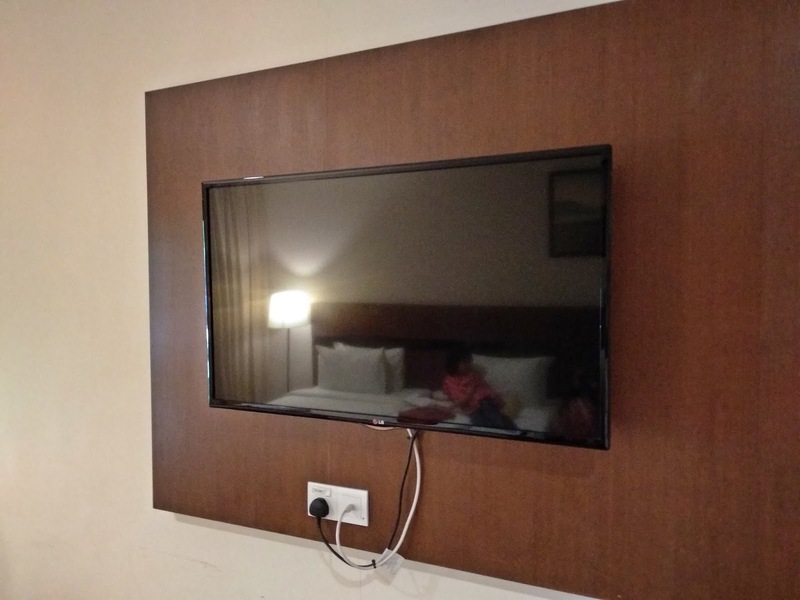 - Complimentary usage of Wifi Internet access, Gymnasium, table tennis, kids games room, kids fun zone, and swimming pool with slides for kids. There are Wardrobe with safe deposit box, slippers, laundry bag, bathrobe and hair dryer. 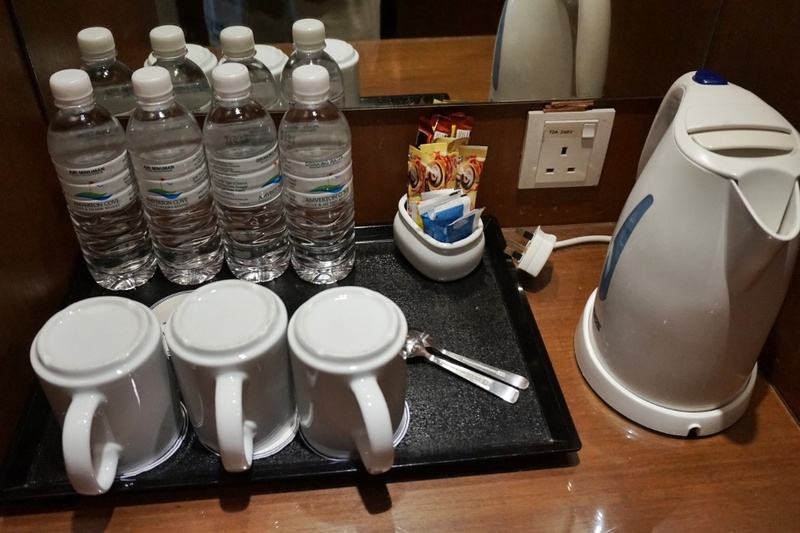 Coffee and tea making facilities, kettle, complimentary drinking water and a mini fridge. 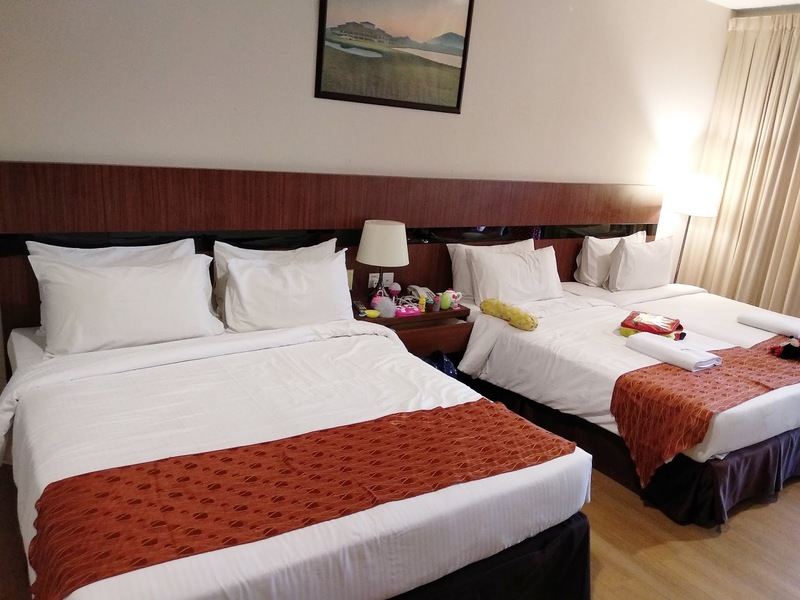 Our room is located at Ground Floor. Spectacular and awesome view from our balcony with greenery environment and swimming pool view. 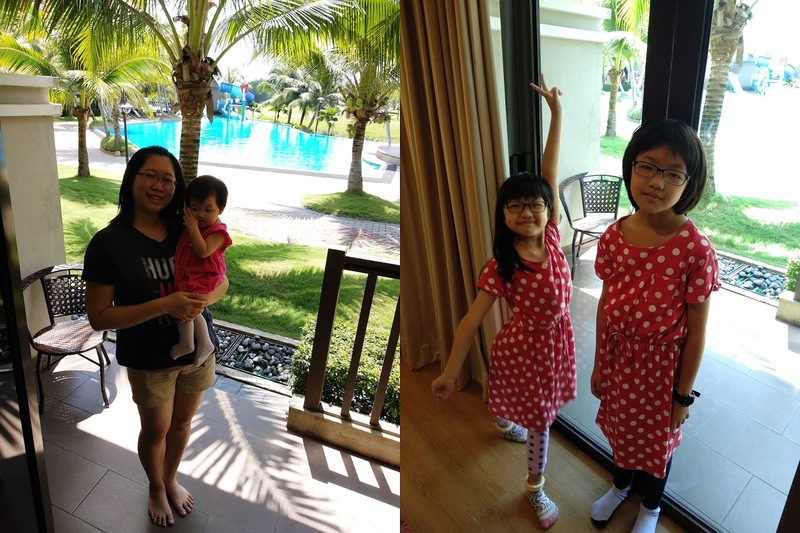 Kids can easily exit from the balcony heading to the swimming pool. 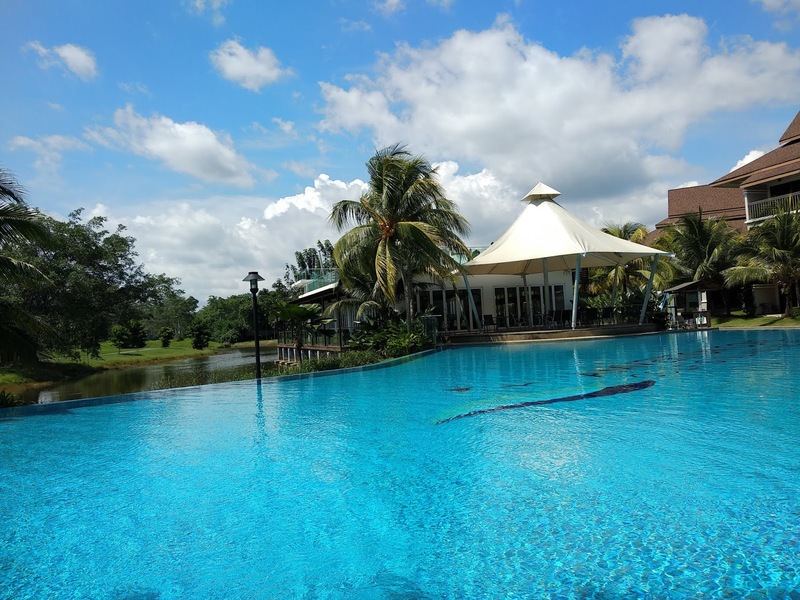 Sunny day makes every photo look stunning with the greenery landscape surrounds this beautiful resort!! I just love the weather the day we checked in. Kids have fun at the kids pool with two different slides. Separated kids pool and adults pool. 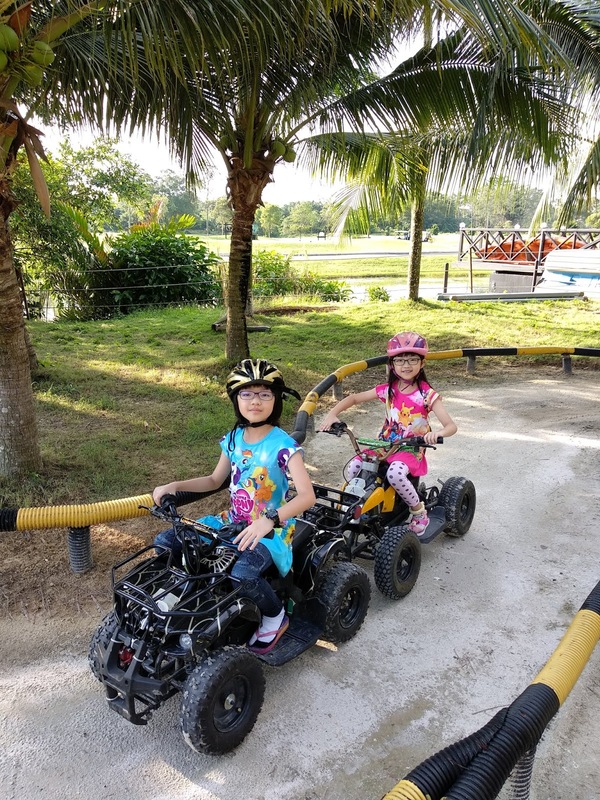 Both having fun with Kid's ATV for the first time and they enjoy it so much! 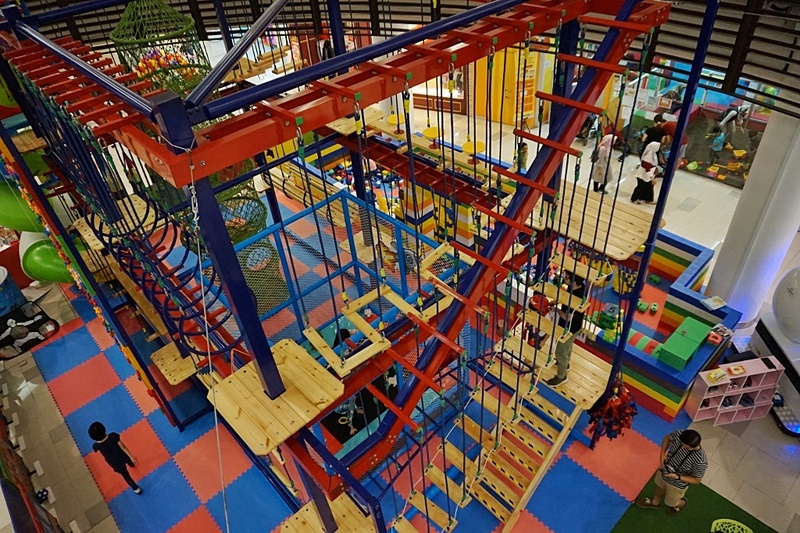 Indoor playground for the kids. Fun time with the ball pits, trampoline and slides! 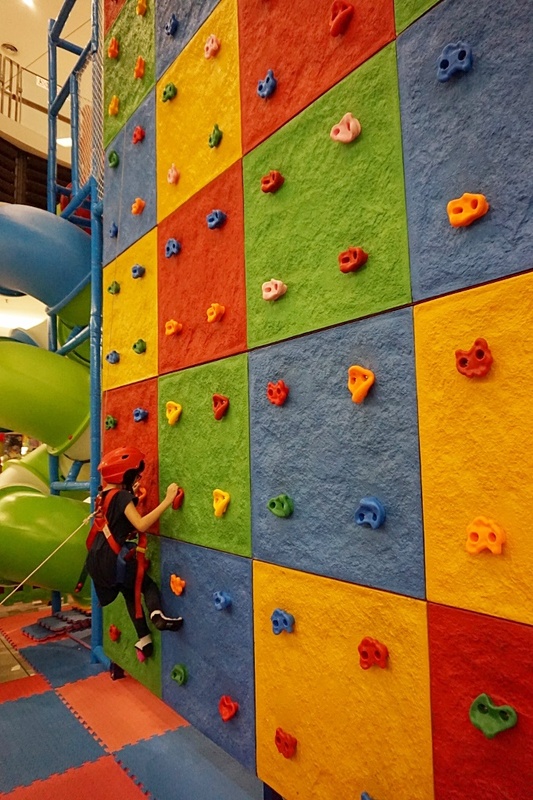 There are many outdoor and indoor activities that both adult and children can join. Bonding time with them and explore new experience together. 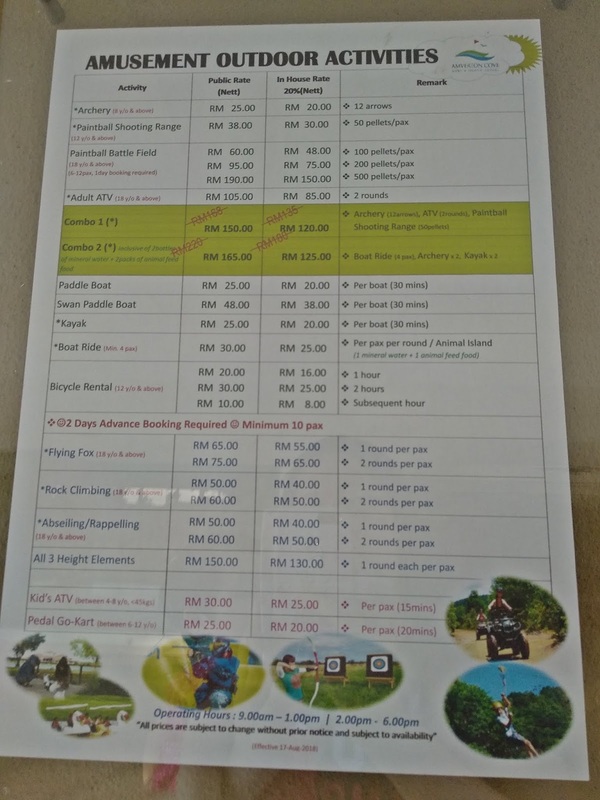 Amverton Cove has lots of outdoor activities such as ATV, flying fox, Abseiling/Rappelling, swimming pool, paddle boat, biking, boat riding, kayaking, archery, paintball, rock climbing, Kid's ATV, Scooter, Yoyo car and many more. 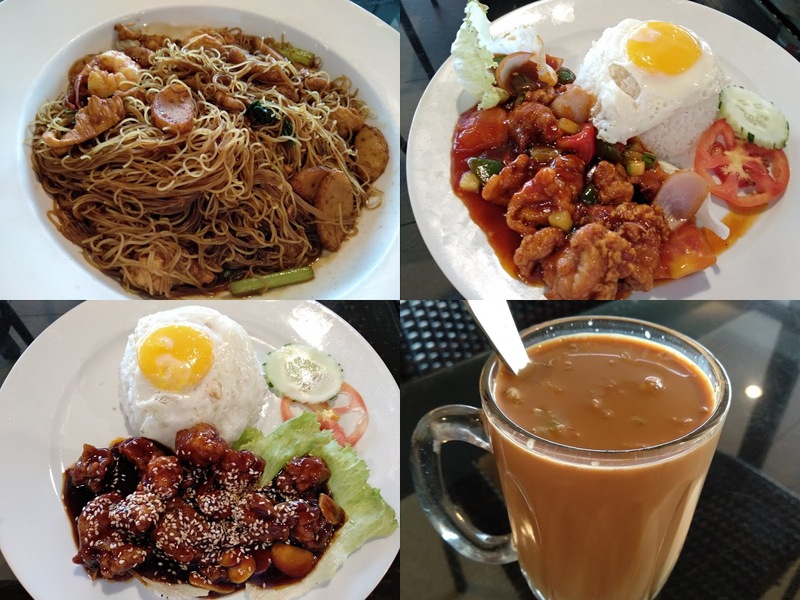 For dinner, we just settle down at the The Golfer's Terrace that offer delicious Asian cuisines that comes in generous portion at reasonable price. 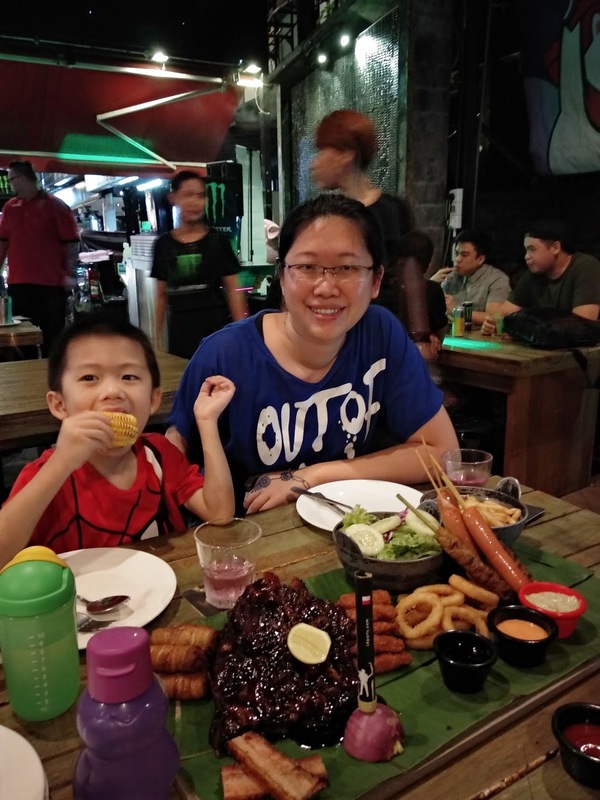 This round we try Hokkien Mee Hon, Sweet and Sour Chicken rice and Marmite Chicken rice. Tender and flavourful chicken meat. 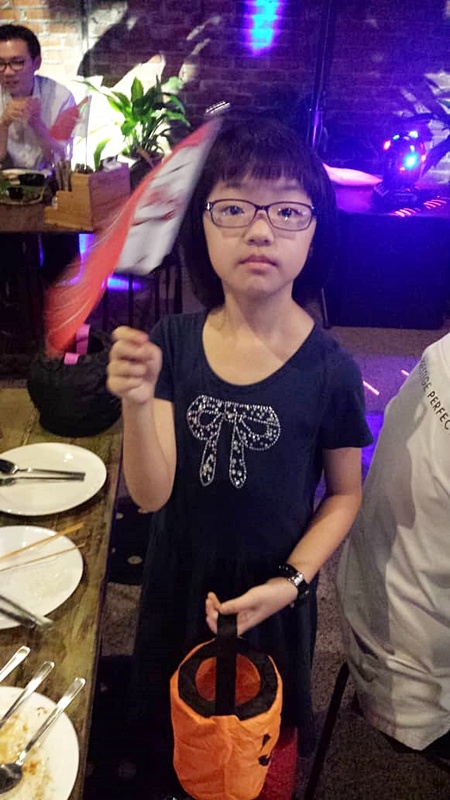 My girl prefer the sweet and sour chicken meat and it is tasty. I got my favourite Teh Halia with few chucks of ginger slice inside. That's what I called a real ginger taste. Yummm!! 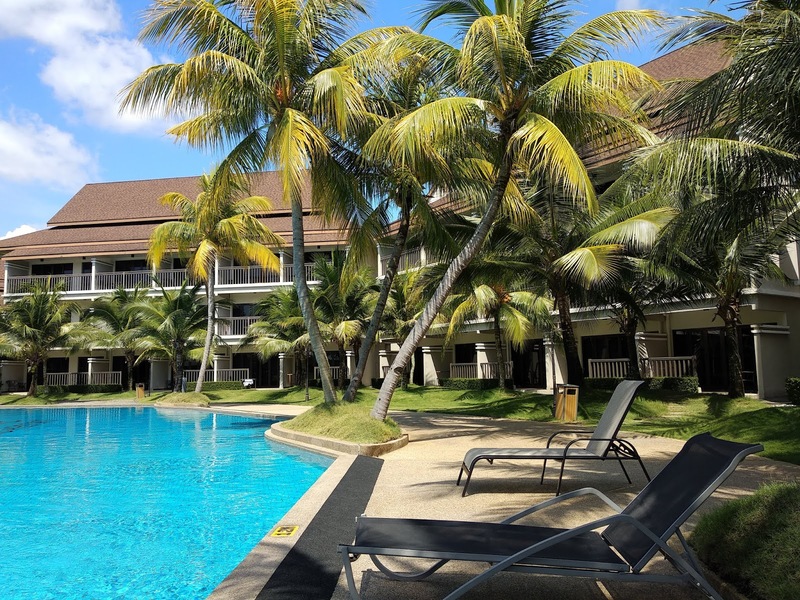 You can also opt to drive out about 10 minutes time to the nearby seafood restaurant from this resort. 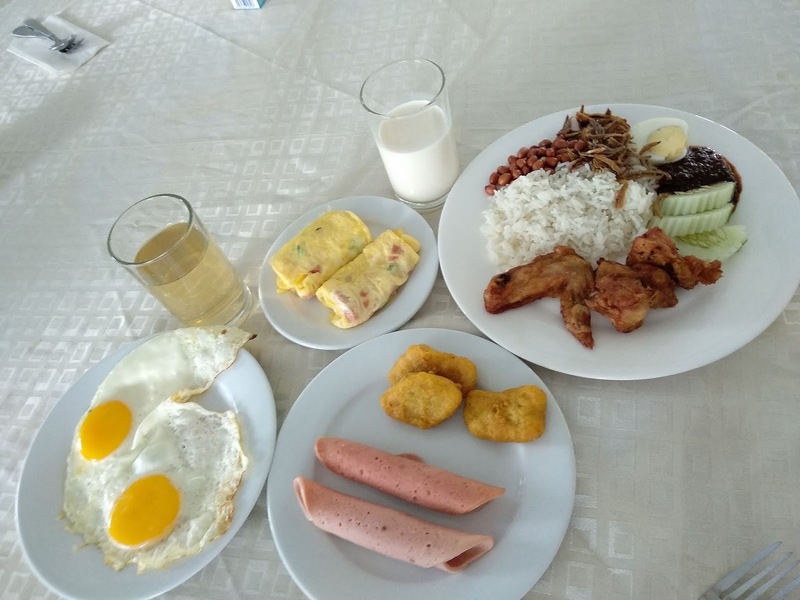 Breakfast selection is pretty good with sunny side up egg, nasi lemak, cereal, salad, bread and pastries, sausages, nuggets, omelette, noodle, and lots more. 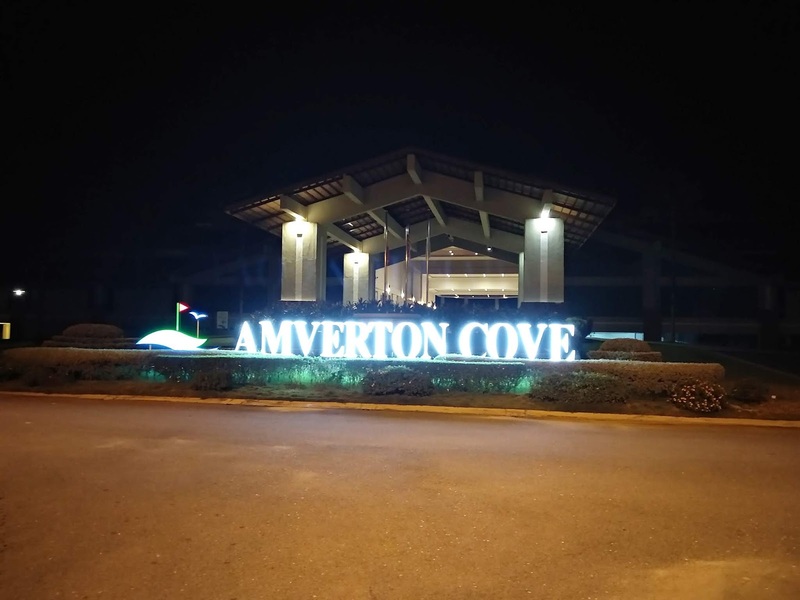 We have so much fun and another memorable stay at Amverton Cove. 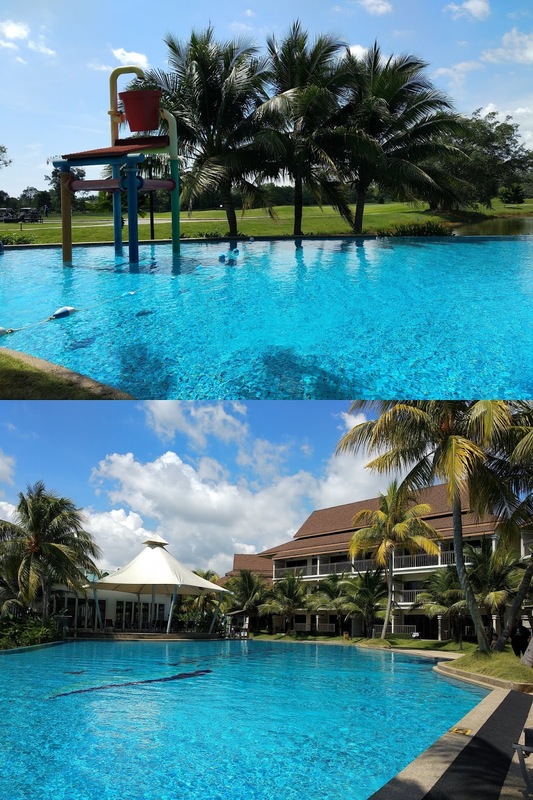 A resort that you can come and relax,with a peaceful environment and beautiful view. 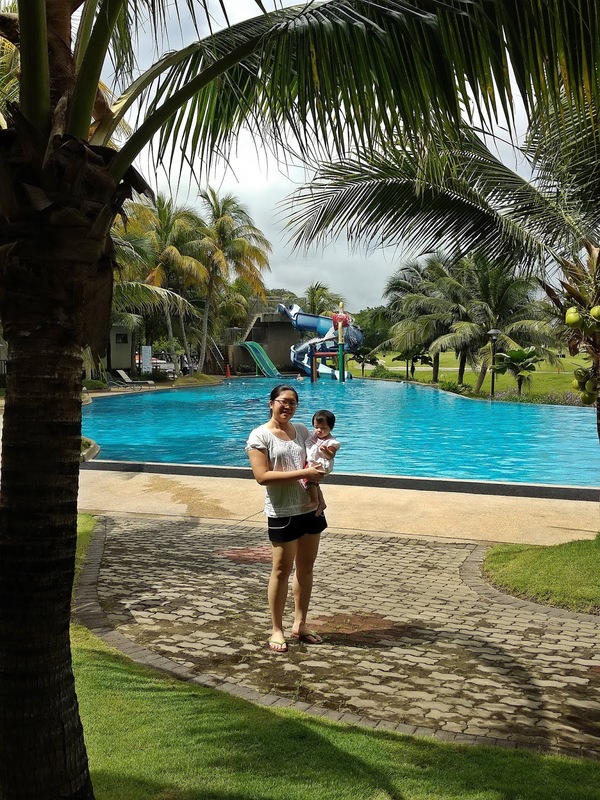 Kid's friendly place and surely the ideal spot if you are looking for family staycation for a family bonding moment. 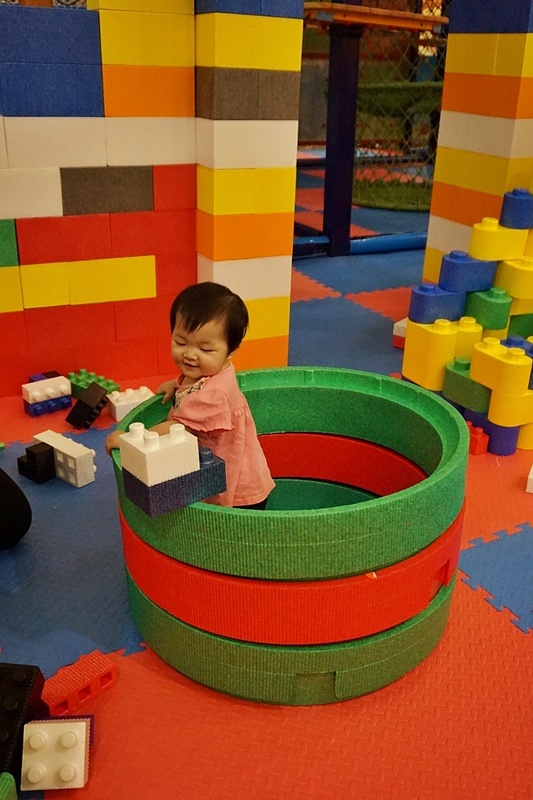 This is not the usual playland that I always bring my kiddos at the shopping mall. 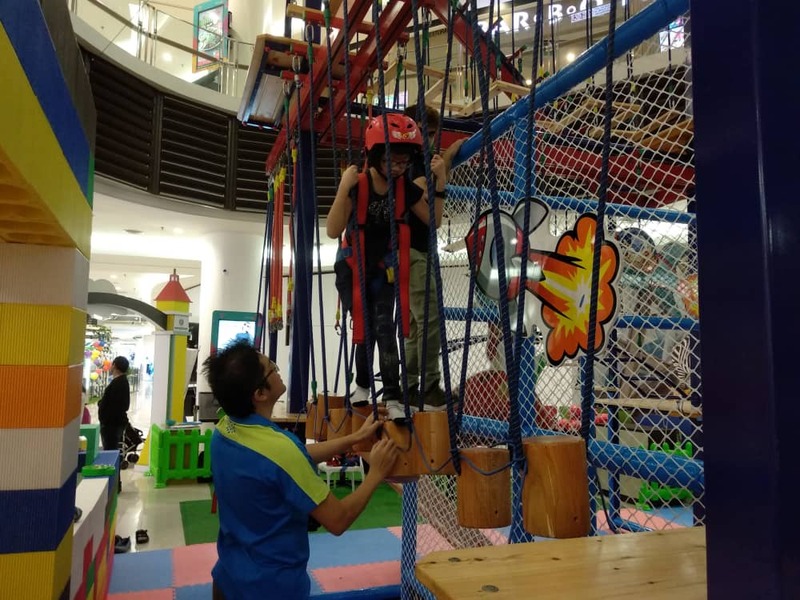 They feeling nervous when they saw this playland is much different and reluctant to try the obstacles.After few rounds of trampoline jumps as the warming up session, my boy says that he want to give it a try. Bravo! 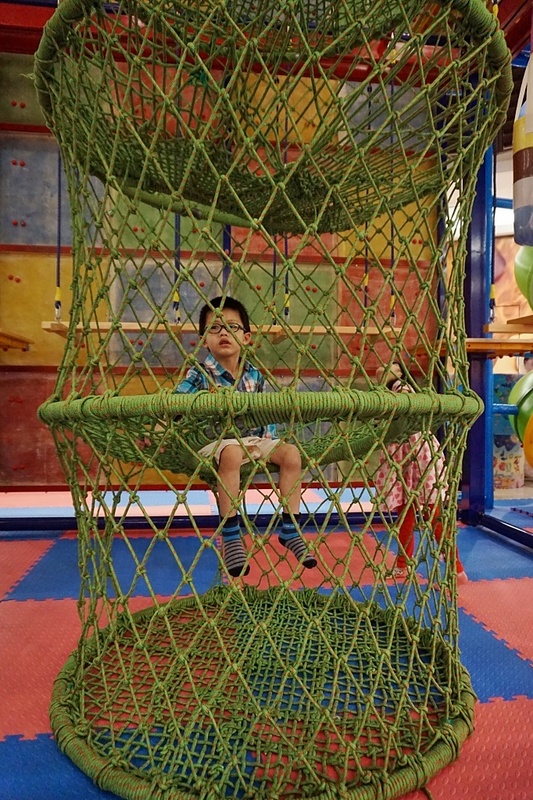 Milky Way Play Space is located at Level 1- Paradigm Mall.These are galaxy themed kids playgrounds, designed for kids from the age of 3 to 15. 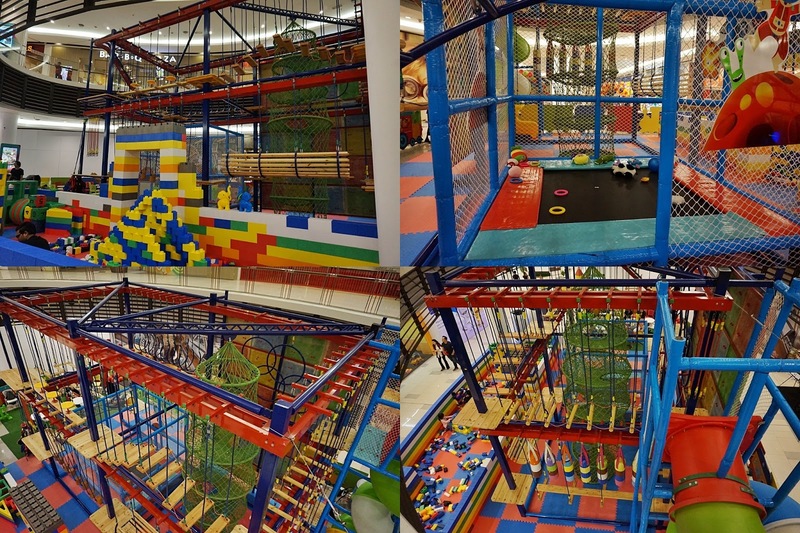 This place provides a complete children’s play land with more fun and entertainment for every young and energetic soul. 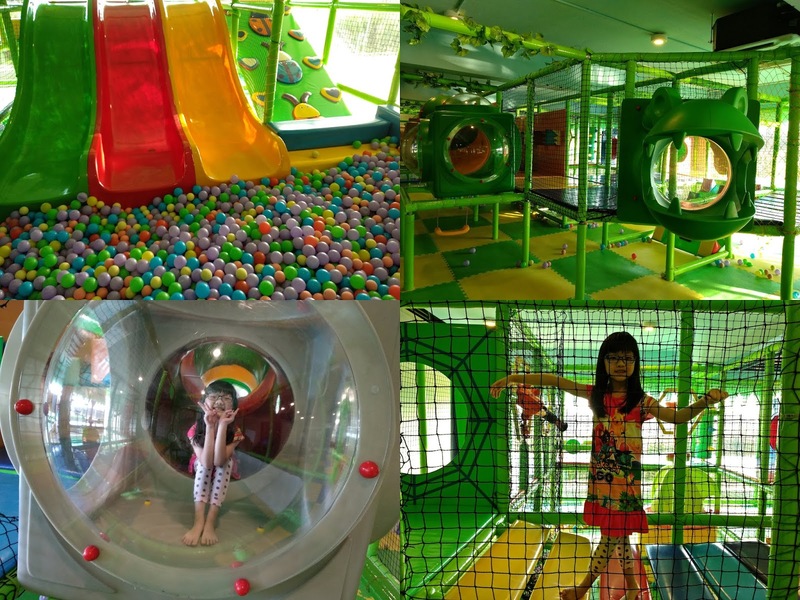 They also supports human development through the offering of the Tiger Cub Road challenging play land which is included in the Milky Way PlaySpace. 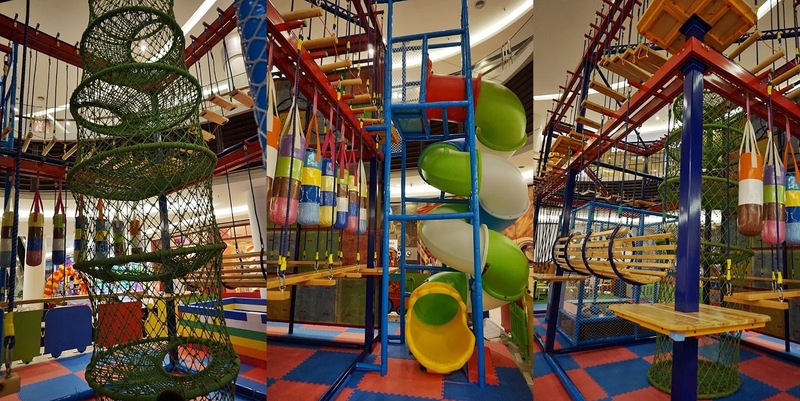 Kids can challenge themselves with Tiger Cub Road obstacle course, climb up the wall, go up to the bird nest, jump on a trampoline, go down a slide.Lots of different skills can be gained here and it is indeed a good development for the kids. For us, adults and parents, exercise is often means working out in the gym, running on a treadmill or lifting weights. However, for kids - exercise means playing and being physically active. And besides enjoying the health benefits of regular exercise, kids who are physically fit sleep better. They're also better able to handle physical and emotional challenges - from running to catch a bus to studying for a test. 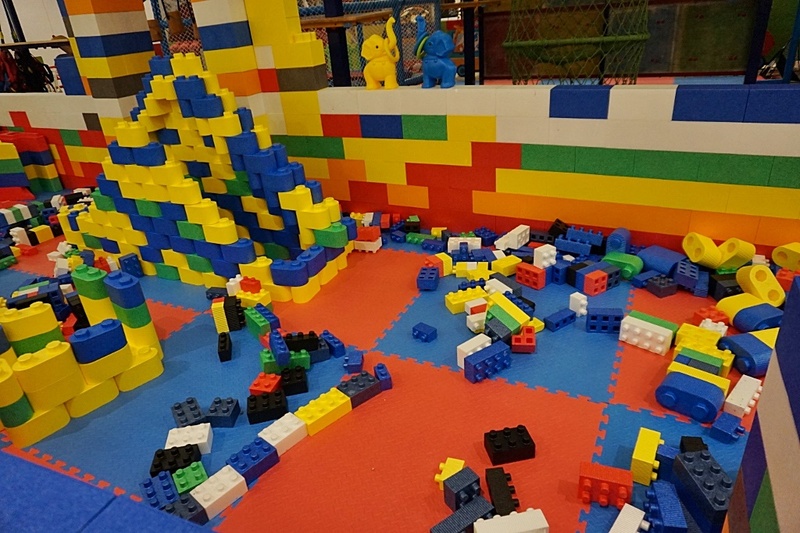 Children gets fitness with fun, physical activities, exercise and games at Milky Way Play Space where games and activities are aimed at helping keep kids healthy by getting them active. Physical activities promote healthy growth and helps in the development of better motor skills and in concentration and thinking skills. Safety always comes first. 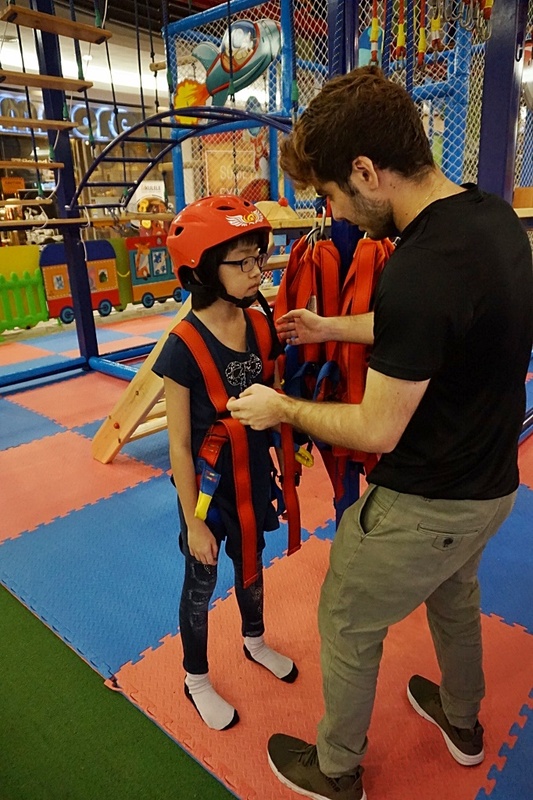 The staff will ensure every kids to wear the harnesses and helmets. They will check against the safety attire is good to go. 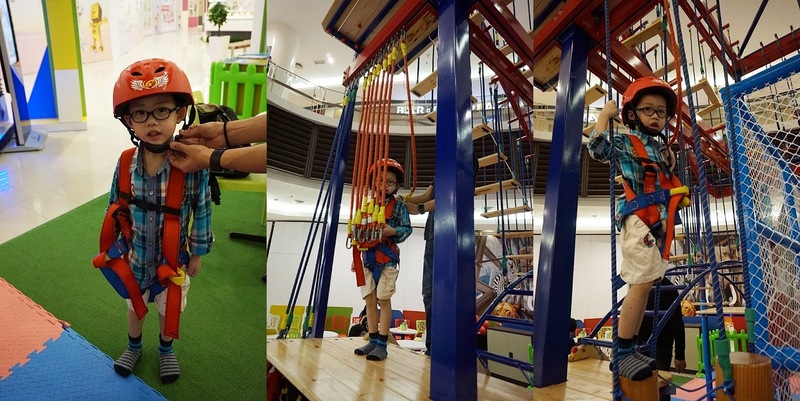 Proud of my little boy who volunteer to be the first participant to go up and try the obstacles. Looking good and cool- Full of confident. After warming up session, My eldest girl taking her turn to try the obstacles. 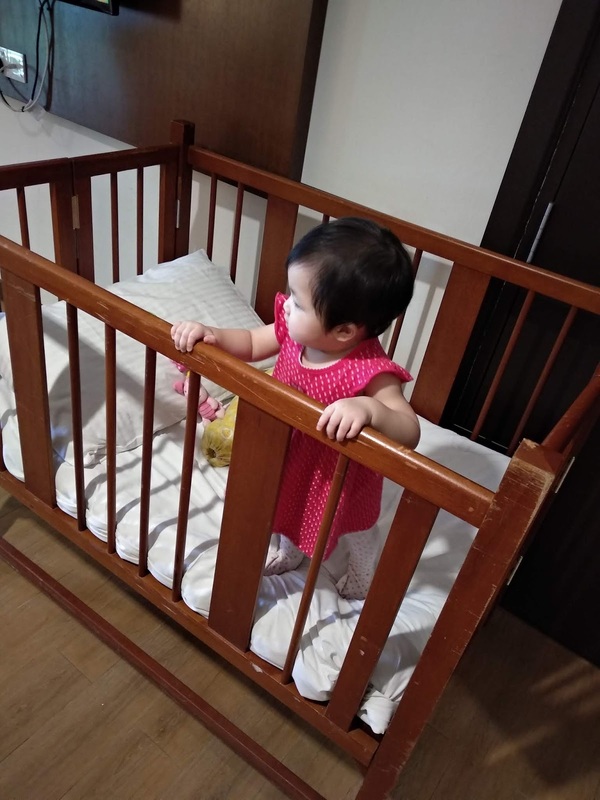 It was quite a shaky moment for her as this is her very first time and she actually feeling scare. 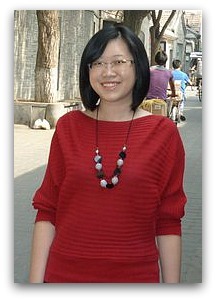 We ensure her that the friendly staff will follow right beside her to help her stage by stage of the obstacles. Encouragement by daddy to keep her moving. Mummy is being supportive too. Level 1 obstacles it already quite challenging. Keep moving and trying to handle the obstacles. 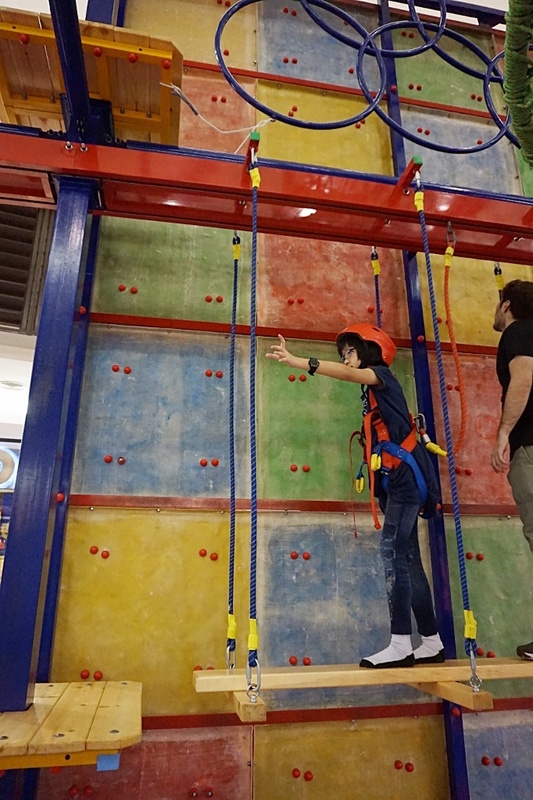 Lastly, she also willing to try the rock climbing. 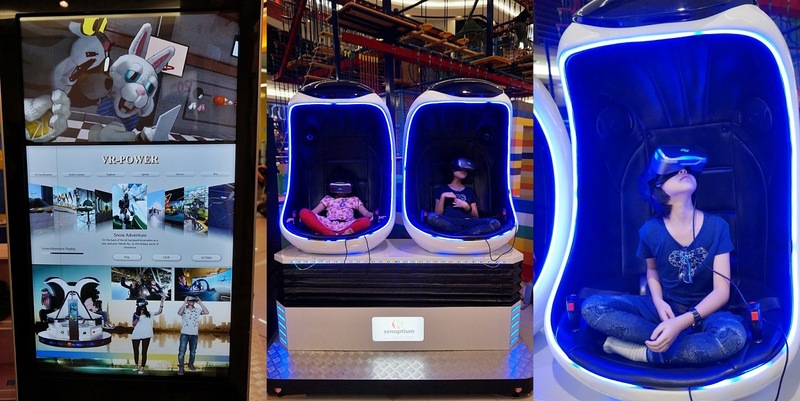 Next, kiddos want to try the VR adventure. There are lots of choices of VR program. 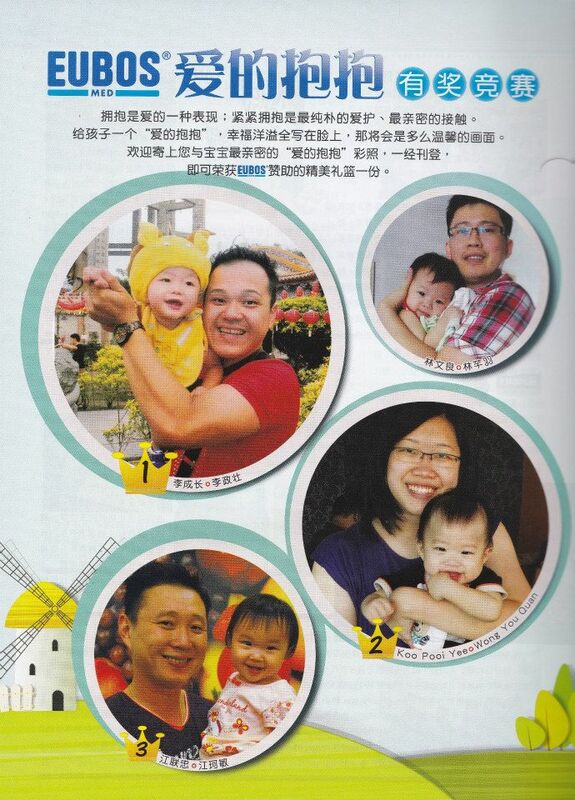 Overall, it was a memorable experience for my children. Mummy is proud of them as they willing to try and go for the obstacles even though they just half way walking through it. It was not easy as I watch them closely. Great fun weekend with my kiddos and a good learning skills for them.